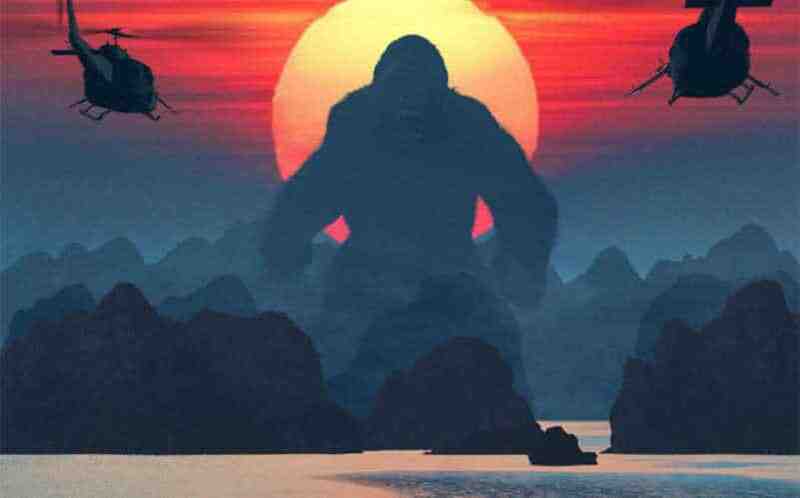 WATCH: Newest Kong: Skull Island Official Trailer | Nerd Much? The second Kong: Skull Island official trailer released last night. This time, we get a much better look at our biggest Kong yet. You don’t want to piss off this guy. This time around, the Kong: Skull Island official trailer has a much lighter tone. You can tell that this movie is aiming for fun. There are intense moments in this trailer, but there is also a lot more humor. Most of that humor comes the way of John C. Reilly. We also learn that Kong won’t be the only monster this time around. Skull Crawlers, giant yaks, and even bigger spiders are crawling around too. Kong is practically a god to the island. With his immense size, this isn’t too surprising. This newest Kong: Skull Island official trailer makes us even more excited for the giant ape. There is just something fun about giant monsters. We are even more excited for Godzilla vs Kong. With Kong’s added size, we really aren’t sure who would win in a fight. Sure Godzilla has his atomic breath, but Kong has so much more mobility. There is really no reason not to see Kong: Skull Island. Godzilla was an entertaining movie even if it wasn’t as grand as we had hoped. If this movie at least lives up to that, we’re happy. March 2017, here we come.